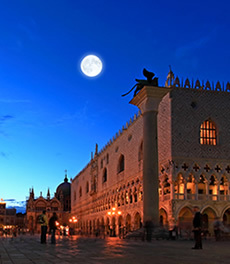 Hotel Adua is a distinctive two-star hotel in the centre of Venice, located on the lively and vivid Lista di Spagna in the Cannaregio district, bursting with colour, bars, shops and artisans' workshops. 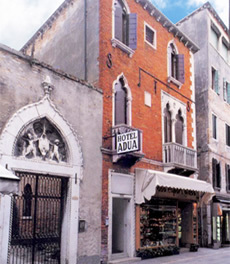 Situated in an elegant Venetian palazzo from the 1700s, a stone's throw from Santa Lucia station, Hotel Adua is ideal for those who want to arrive at their own hotel near to Venice's railway station within just a few minutes, and immediately immerse themselves in the beating heart of the city. 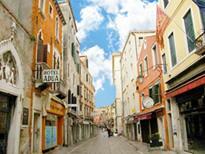 Near the hotel you find the Chiesa dei Frari, Palazzo Labia in Campo San Geremia, the ancient Jewish ghetto which is still intact, the Chiesa di San Rocco and the Ca' d'Oro, and a little further away is the Rialto Bridge and the Squero di San Trovaso boatyard. 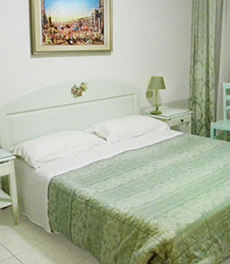 Amongst the facilities provided by the hotel are spacious and modern rooms and free Wi-Fi Internet connection. Our friendly and helpful staff will be happy to give you useful advice for visiting Venice even for those on a budget, and can provide useful support when booking excursions and tickets for shows, museums and events in Venice, such as the stunning Veneta lagoon.